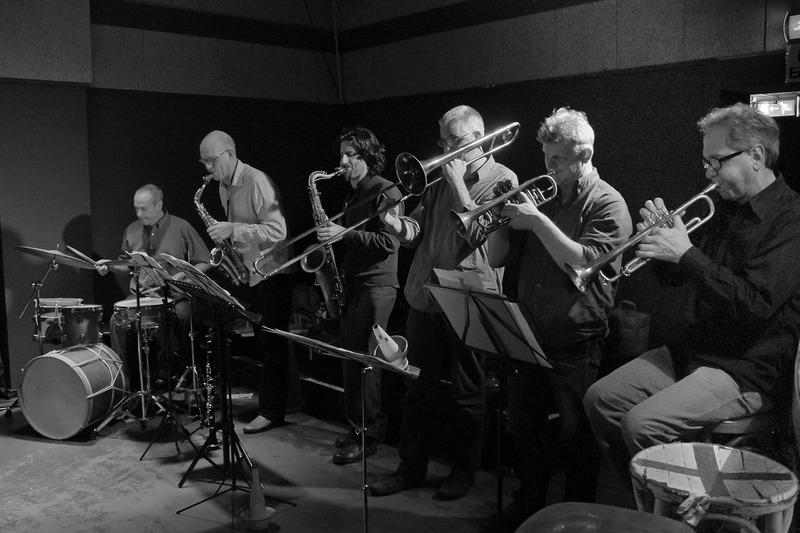 Jodi Gilbert (vocals); Gideon Tazelaar (clarinet, alto saxophone); Natalio Sued (tenor saxophone); Giuseppe Doronzo (baritone saxophone); Jimmy Sernesky (trumpet); Joost Buis (trombone); Eric Boeren (cornet); Oscar Jan Hoogland (piano); Arjen Gorter (double bass); Michael Vatcher (drums). If you want to see a great Dutch jazz concert, please choose All Ellington. This big band led by cornet player Eric Boeren literally breathes new life into pieces composed by Duke Ellington. For this ensemble, love and respect for tradition go hand in hand with the unique and inventive. Their repertoire includes famous Ellington hits as well as lesser-known numbers with arrangements written by Eric Boeren, Joost Buis, Michael Moore and Natalio Sued. A set usually starts off in a relatively traditional way, but later the musicians reveal more of their true improv nature allowing things to get enjoyably out of control. The lineup makes for greater dynamics: veterans Jimmy Sernesky (trumpet), Joost Buis (trombone), Arjen Gorter (double bass), Michael Vatcher (drums) and Jodi Gilbert (vocals) are complemented by the younger musicians Oscar Jan Hoogland (piano) and Natalio Sued (tenor sax). The newest members are prodigy Gideon Tazelaar on alto sax and clarinet and exciting baritone saxophonist Giuseppe Doronzo.